I made this for my birthday party and Jonny said that he thought it smelled like ‘summer in a glass’, so that’s going to be it’s name. Like all good things, I can’t really take any credit for this. I copied it Back to Her Roots and she (or more to the point, her husband) copied it from a restaurant they’d been to. All I did was add a home-made maraschino cherry to it, which turned a great shade of pink, which is how cocktails happen. 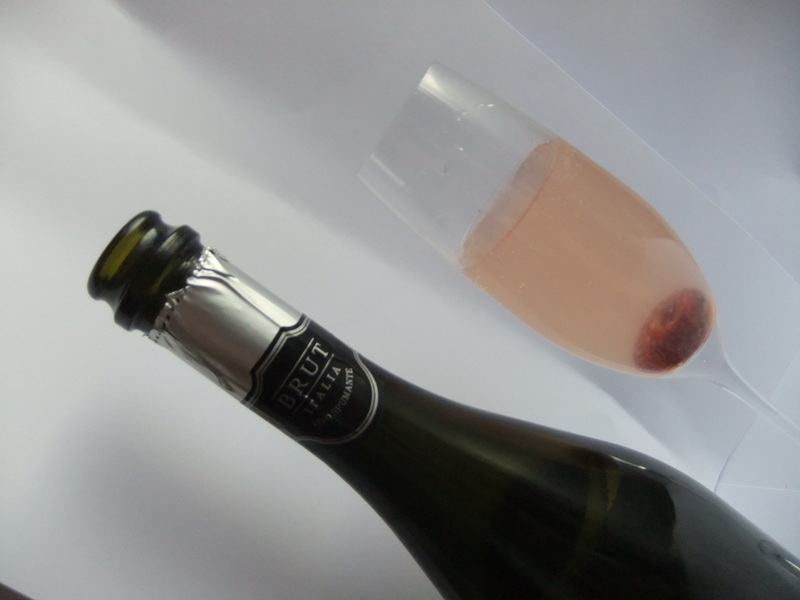 A word on the fizz. 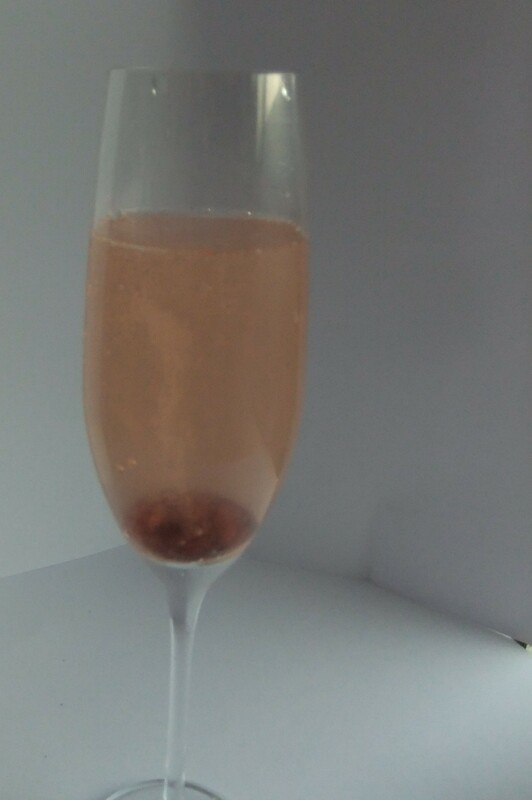 Although the original specifies champagne, I’ve used a French fizz and a Prosecco both of which worked fine although I would go for the French for preference or maybe try a Cava. 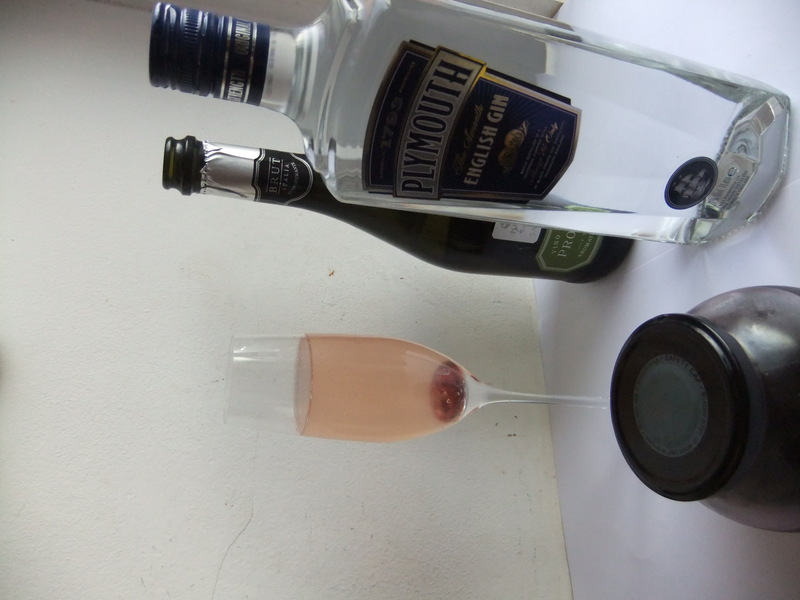 1) Put the gin and lemon juice in a glass and stir. This entry was posted in Booze, Things I Like and tagged fizz, Friday Night Cocktail, gin, lemon juice, maraschino cherries, Tastes like Summer. Bookmark the permalink.